Now let's learn how to add a domain to our account. 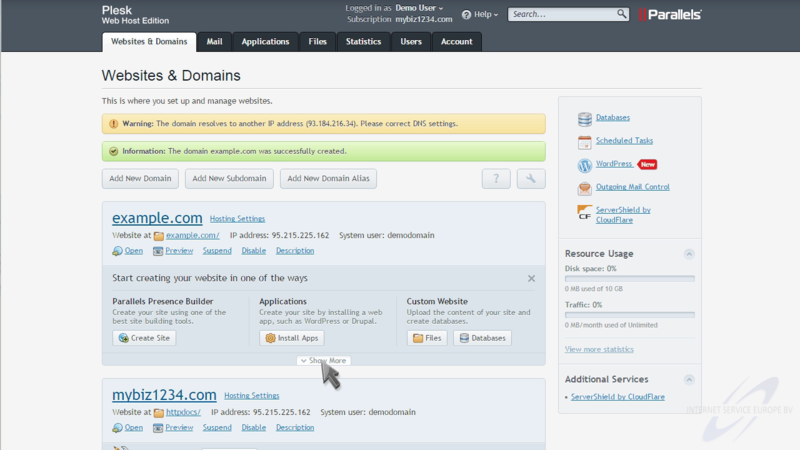 Click the "Add New Domain" button. Enter the new domain name you want to setup. 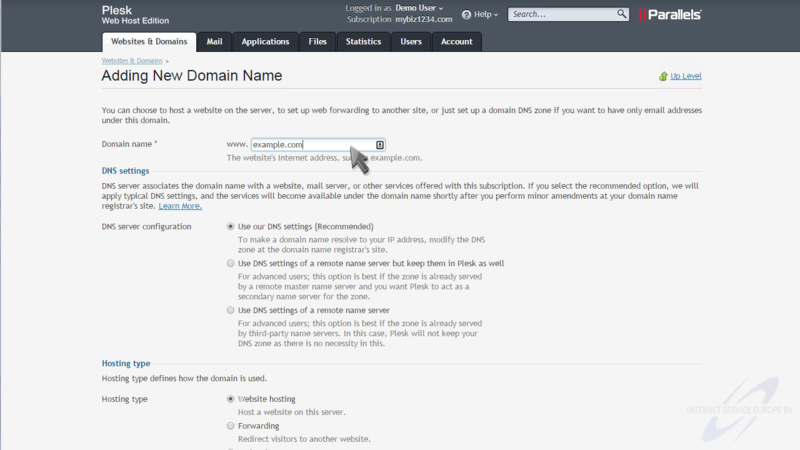 Choose whether you want to use the recommended DNS settings, or your own custom settings. 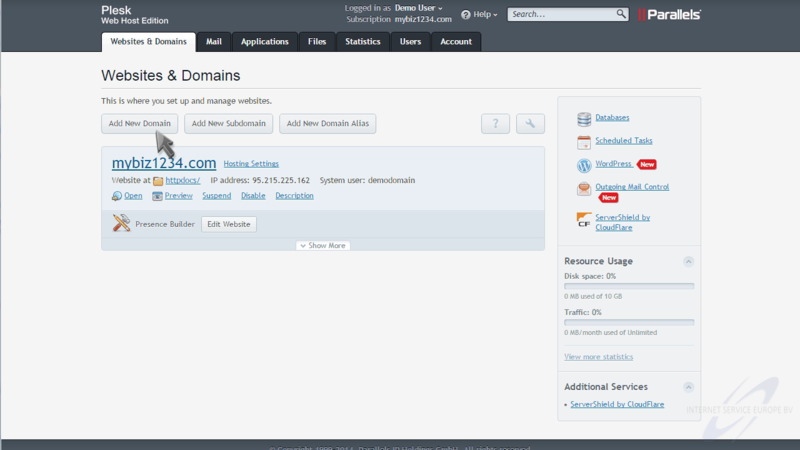 Then choose the hosting type for this domain. In this case we want the domain to have it's own website, so we'll leave "Website Hosting" selected. Choose whether you want the preferred domain to have the "www" prefix or not. That's it! The new domain has been created. 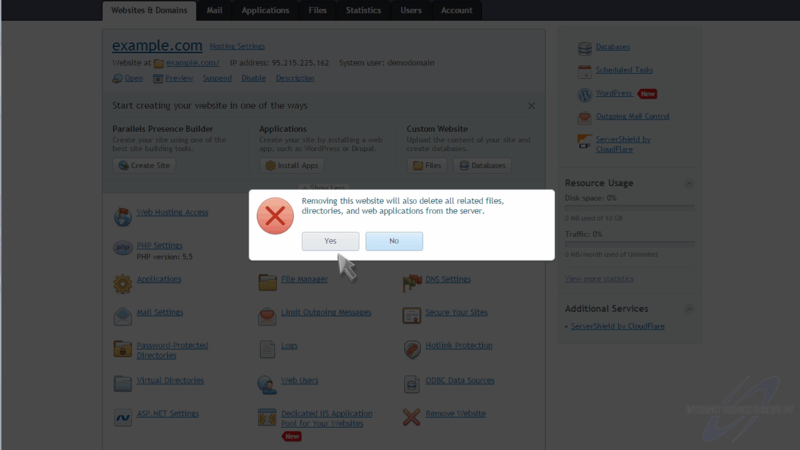 To delete a domain, click the Remove Website icon here. This is the end of the tutorial. 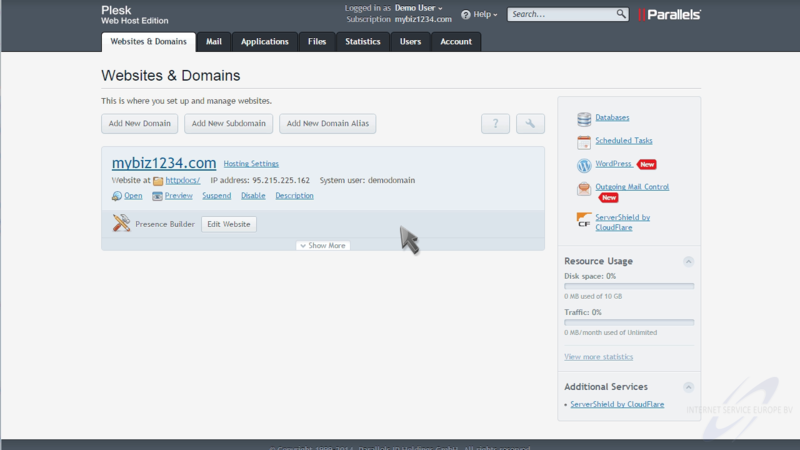 You now know how to add a domain to your account in Plesk.